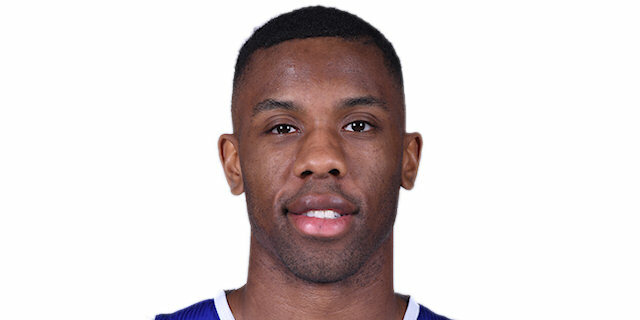 Norris Cole and DeShaun Thomas came off the bench to lead Maccabi FOX Tel Aviv to a 74-68 victory over Baskonia Vitoria Gasteiz on Thursday at Menora Mivtachim Arena. 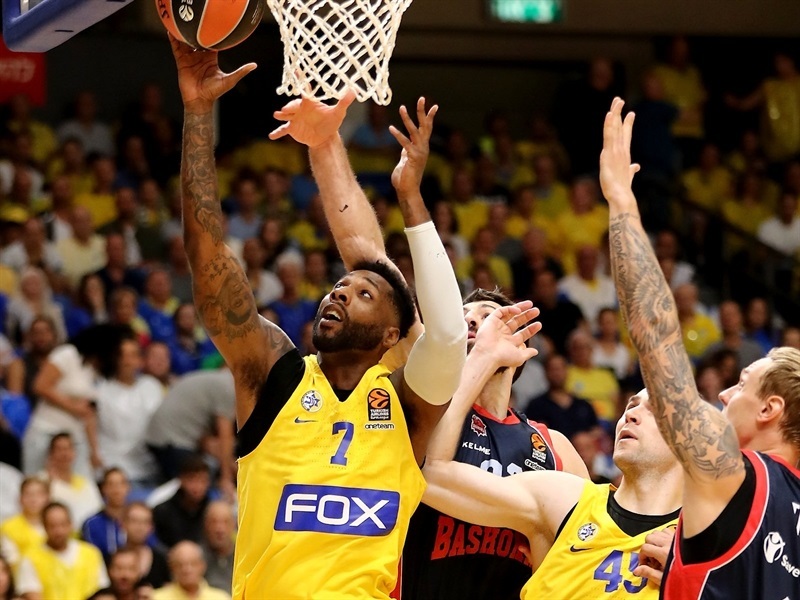 Cole recorded 24 points and 5 assists and Thomas added 17 points as Maccabi improved to 2-0. 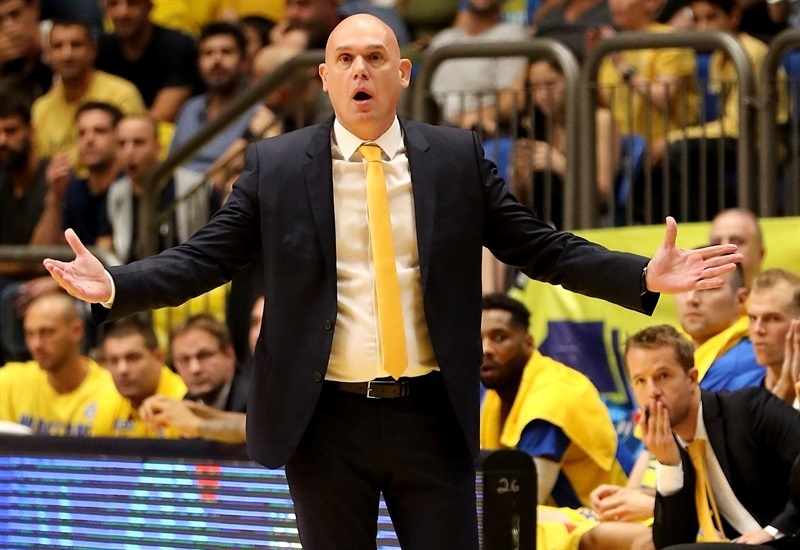 Maccabi got 53 points from its bench, including 8 points and 8 rebounds from Alex Tyus and 6 assists from John DiBartolomeo. Rodrigue Beaubois also starred in a reserve role for Baskonia with 22 points, while Iliane Diop added 12 points and Toko Shengelia scored 11. The result left Baskonia at 0-2. After falling behind early, Thomas and Cole led a 13-0 Maccabi run that bridged the first and second quarters and the hosts never trailed again. The lead peaked at 14, but Beaubois rallied the visitors to within 66-64 with three minutes to go. 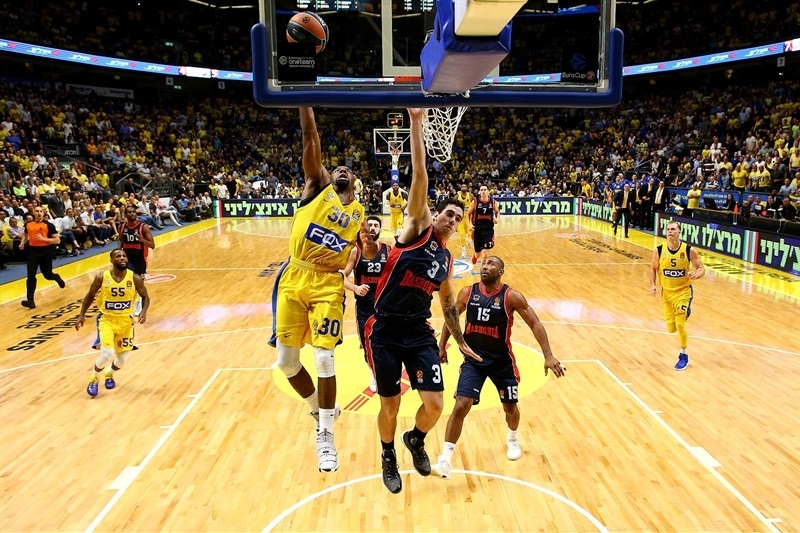 Once again, Thomas and Cole stepped up to carry Maccabi to victory. 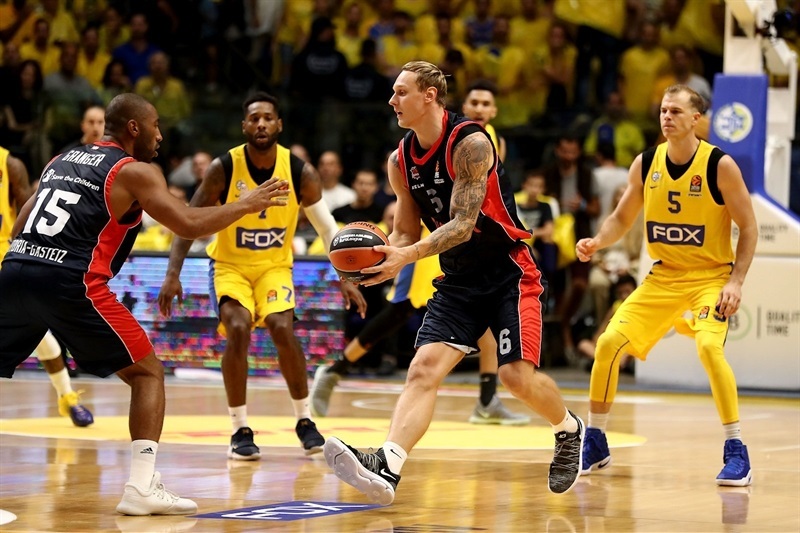 Janis Timma came out strong with 5 points as Baskonia jumped to a 4-9 start. 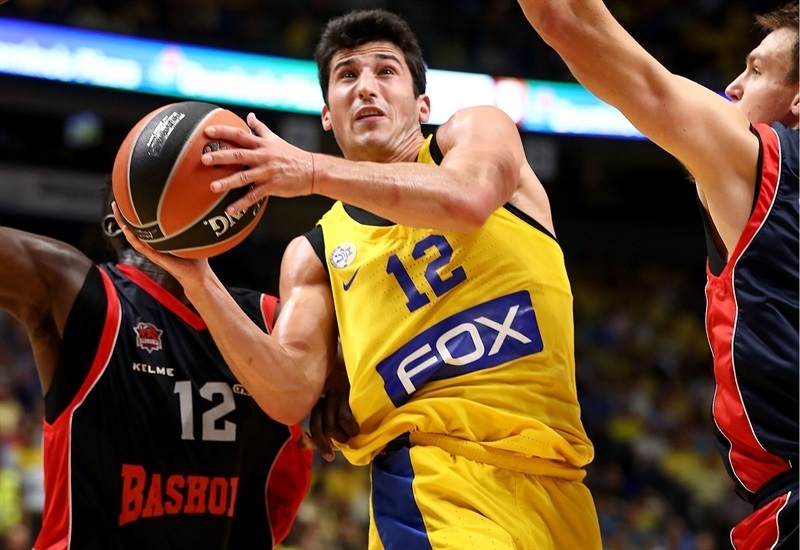 Maccabi stayed close and behind reserves Thomas and Cole, the latter hitting a buzzer-beating three, finished the first quarter on a 9-0 run to lead 19-16. Cole added a jumper and an assist to Tyus as the run turned to 13 unanswered points. 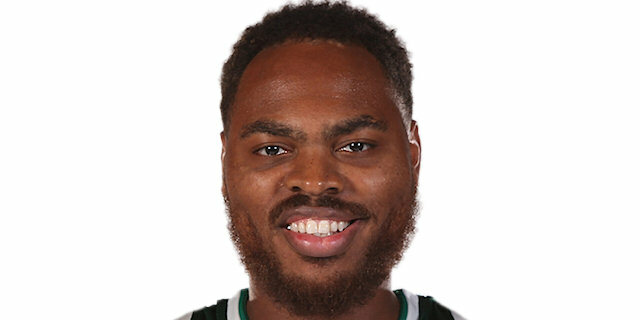 Johannes Voigtmann stopped the Baskonia bleeding, but Cole set up Tyus for an alley-oop slam and Thomas nailed his second three to make it 28-18. 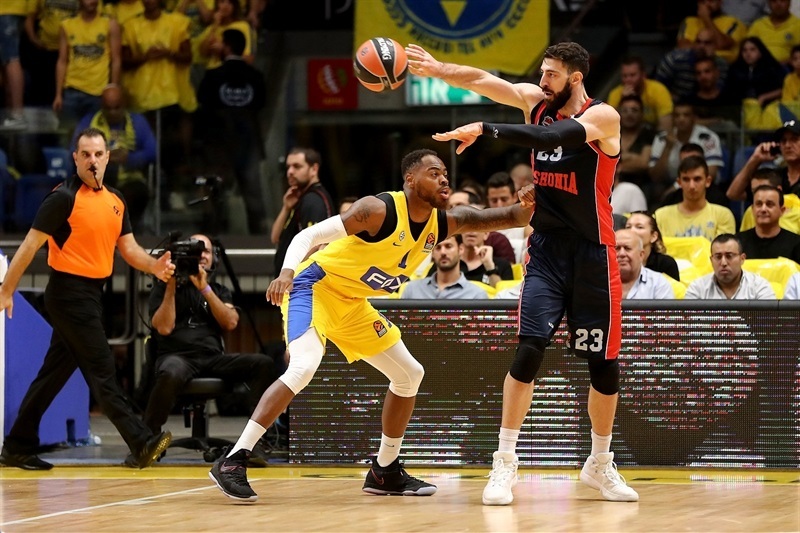 Diop stepped up for the visitors inside and Jayson Granger buried a triple to close the gap to 6, but Cole reeled off the next 5 points to keep Maccabi rolling. Michael Roll’s jumper left the hosts ahead 39-30 at the break. Thomas and Cole remained hot as the lead swelled to 14. 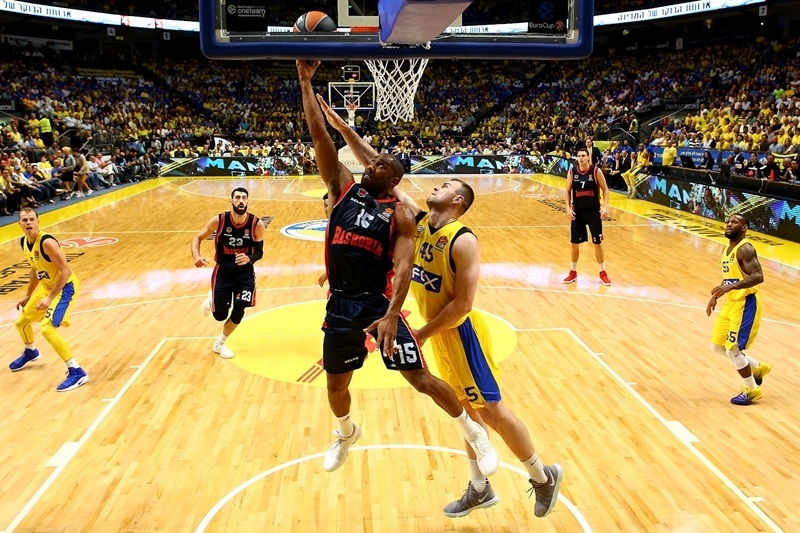 Beaubois heated up for Baskonia to keep the visitors in the picture. 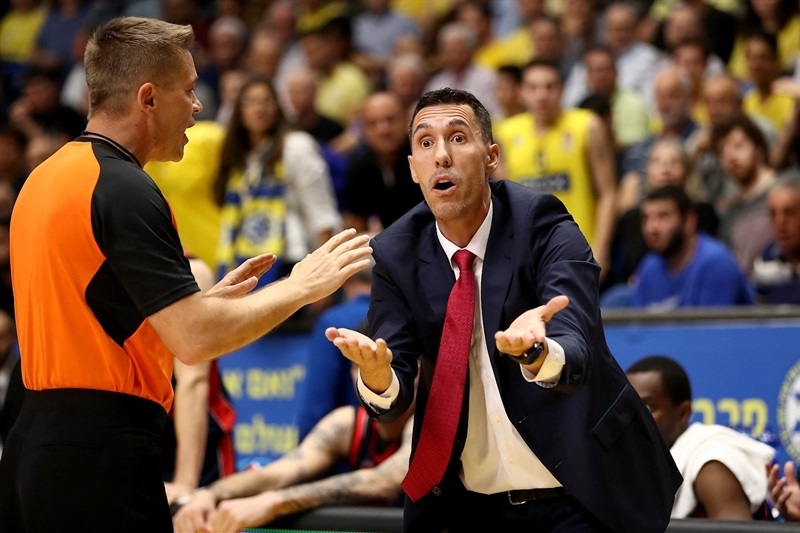 After a Diop three and free throws from Luca Vildoza and Shengelia, Baskonia had closed within 52-47. Beaubois and Vildoza hit threes to narrow the gap to 56-53 at the end of the third quarter. Cole got the hosts back on track and Roll drilled a three from the corner. 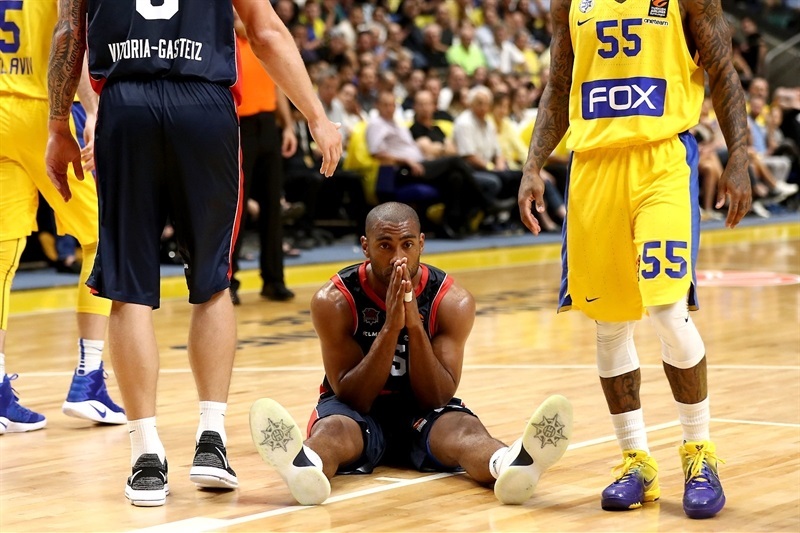 Cole’s 20thpoint came from the free throw line to put Maccabi ahead 64-55. 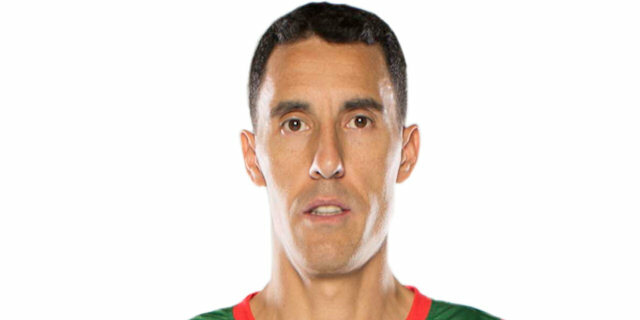 Baskonia did not lower its head, but instead turned to Vildoza, who hit a three and came up with a steal, and Beaubois, who scored twice to make it 66-64 with three minutes remaining. 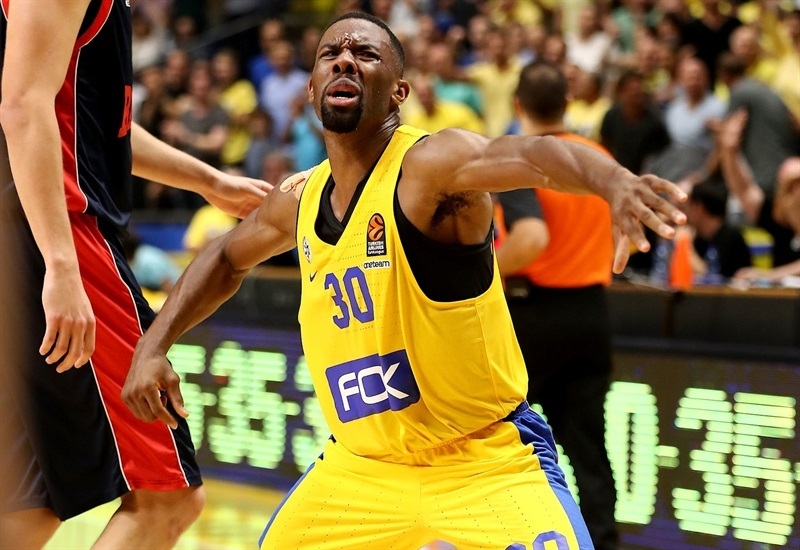 Maccabi’s answers came from Thomas, with a jumper, and Cole, who led a one-man fast break. Cole matched Beaubois down the stretch and fed Tyus for another alley-oop slam to secure the victory in style. "I really want to congratulate my team and the entire arena for this win. I don’t think we played the best possible basketball, but we won. At least we gave up only 68 points. We had more rebounds than them, more assists than them. But, I think we can do better… This is October and the first time for many players at this level. I am sure with our work ethic we will get better. " "We were always behind them. It looked for a moment that they might break the game open, but we were mentally tough. We came back and really put them in trouble, especially in the last quarter. In think we had a good rhythm, especially in the second half. In games like this, small details make the difference. A couple offensive rebounds, a couple shots where we were open and ready to knock them down and take the lead. I believe it was 64-62 or 66-64, we had an open look for a three and maybe if we made it the game would go in a different direction. I am proud of my guys; they really fought and compete. Both teams are pretty new teams, new players. New coaches on both sides. I think we both have a lot of work to do. Today I like how the team fought and played basketball. " "It was a great game. We both played aggressive. We stayed cool, had good looks and played great defense. We need to keep on fighting." "I just wanted to be aggressive. They were coming back and we needed someone to make a play and I want to be that guy to make the play. It was a total team effort. They played us hard, but we stuck together. Our bigs helped the guards, the guards helped the bigs. 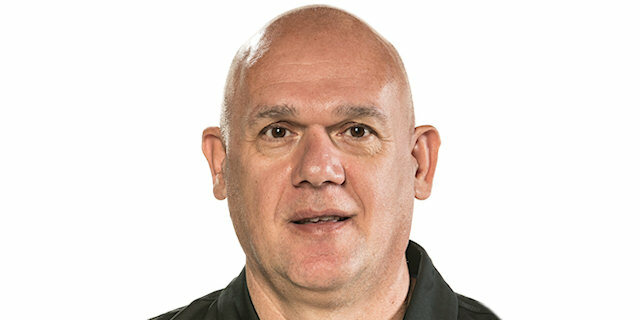 Coach had a great gameplan and we just executed the whole 40 minutes. It’s very important to take advantage of home court. Our fans are great. "